Being sick over the past weekend significantly drained time that I’d intended to spend reading and writing, and getting a bit ahead with this blog. 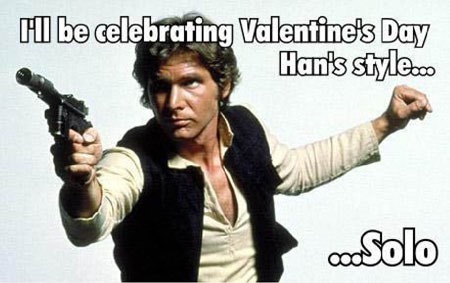 I’d had several thoughts for stuff to post for February 14th, but along with the aforementioned being sick, I face the day as I have every year–Han style. So, I’ll let that negativity out a bit. There’s a quote that a friend shared with me many years ago that just epitomized my feelings on the matter of love at the time…and actually inspired me to pull the trigger on finally seeking out Gaiman‘s The Sandman series. 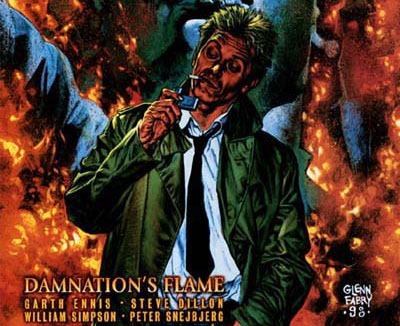 Then there’s John Constantine, the Hellblazer. When I first "met" the character–the first time I’d read any full story of the character–he was coming off losing a major love of his life. And his dealing with that was something I could identify with at the time (or at least so I thought, but that’s a different story). 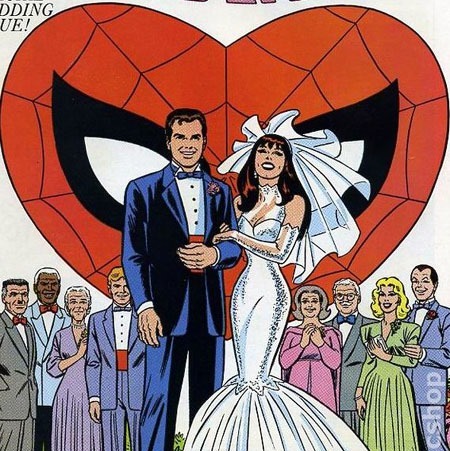 Then there are two comic marriages that probably have meant the most to me over the years: Clark Kent (Superman) and Lois…and Peter Parker (Spider-Man) and MJ. In Superman, there was a hero figure, as well as the ease of identifying with someone (Clark Kent) who was from some town somewhere, not comfortable with a world’s attention, just trying to be the best he could be, as his parents raised him. And by just being himself, NOT some flashy super-figure, Clark Kent "got the girl" despite the "shadow of Superman." 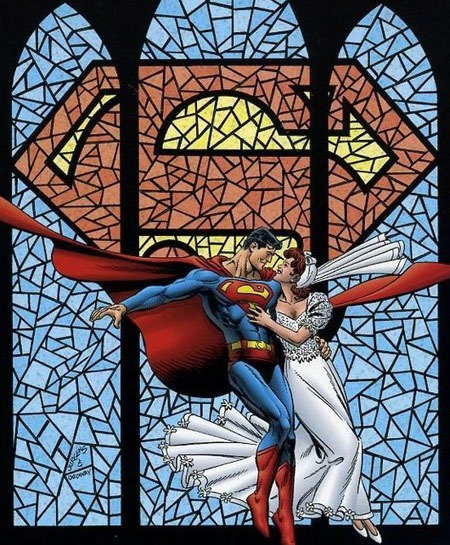 (Though he could not in good conscience hold the secret, so Lois knew long before the wedding…but again, more stuff for other times). And then in Peter Parker, there was that notion that hey…if he can get the girl, get that happy STEP in life (NOT necessarily ENDING)…perhaps something like that’d be a reality, right? People grow and change, mature, stuff happens that they never expect, yadda yadda yadda… I actually grew up on a married Peter & MJ. And to this day, I hold that I have no interest in reading an adult single Peter/Spider-Man story. Yet again, though…more for another post. 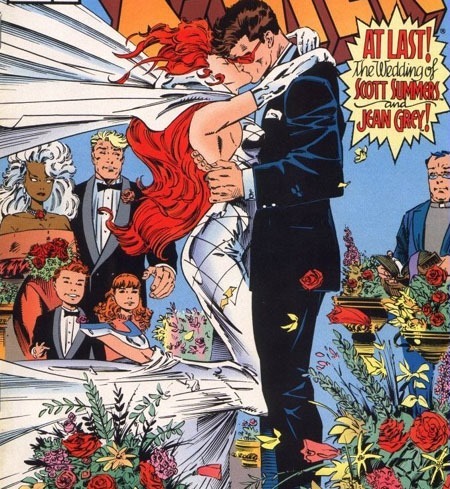 Then, of course, there’s Cyclops and Phoenix…Scott Summers and Jean Grey. Though they’ve been split up longer than not in my conscious awareness of the characters…theirs is a relationship I still prefer (and miss). 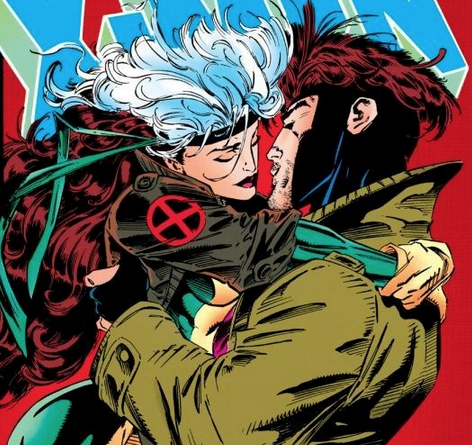 Finally, perhaps semi-forgotten by more contemporary creators and stories…Rogue and Gambit. As with the above…I could do an entire post just on them, but I’ll leave it that they’re–to me–a "classic comics couple," that I’d long rooted for eventually getting a happy/good ending. I’m not even truly sure where I was going with this post. I guess just showcasing some examples of my favorite comics couples; that comics have touched on a number of different facets of my feelings on love, couples, and all that. Call this a token cheesey post. Whatever. 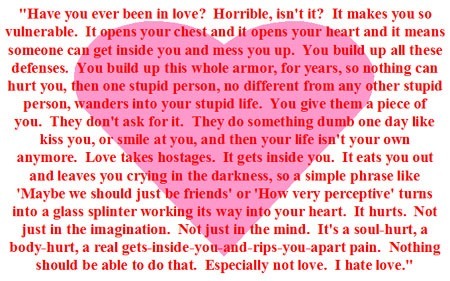 Lately, I’m back to largely feeling Gaiman‘s quote quite close to home. And other than composing this post the night before…I’ve every conscious intention of going head-in-the-sand for "the day," after which will mean we’re finally past "the holidays" for awhile (and heck, into epic-movie-season or such again). From the very first look at this issue–the cover–there’s something that’s been missing for me for a long, long time from Superman comics. I can’t quite put my finger on it, put words to it…but I’m pretty sure it’s something to do with just really liking the look of this new costume as shown here. Maybe it’s just simply that I like Perez‘ art over so much of what I think of with a lot of Superman stuff in recent years and so the cover grabs me. This also seems like the sort of cover, somehow, that “fits” an early issue of a new series, and whatever else to it I can’t find words for…I just simply like this cover. The interior visuals are high quality as well, and I can’t help but think some of that’s gotta be Perez doing the breakdowns, which makes things fit the story moreso than if the writer and artist were working far more independently of one another. Paging through the issue again, I really can’t find anything that particularly bothers me about the visuals, that isn’t attributable to a generic creature/antagonist or keeping with a “newish” younger look to Clark Kent. 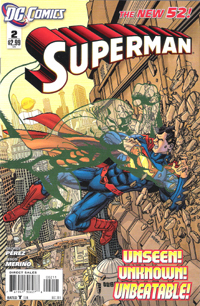 The story itself is good, with all the elements that I’ve tended to enjoy about a Superman comic. And for what seems like the first time in too many YEARS, Clark Kent is actually a part of the Superman story again. Maybe not a huge part, and it’s too soon for me to have much hope of any great emphasis being placed on the Clark Kent personality…but Clark is there, is a part of the story unfolding, and for now, that’s a marked improvement over things during the New Krypton era of the previous DC Universe. I really enjoy that we have Clark, Lois, Jimmy, and Superman all playing parts in the overall story. Cat Grant even appears here, and we at least have a mention of Perry. There’s even a sense of continuity here, that Superman’s got a past, even though in some ways this is like a new beginning of his career. He comes off as a bit unsure of things and yet confident enough to do what he’s gotta do. As we open the issue, Superman’s awaiting information from Sam Lane, who remains distrustful of the man of steel from their prior encounter (in the “5 years ago” story going on in Action Comics right now). 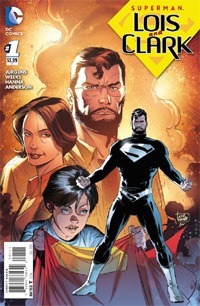 We then transition to Lois and Clark discussing their encounter at the end of the previous issue before returning briefly to General Lane, and then Superman encountering the “monster” of this issue–a creature that everyone but him seems to be able to see. After getting knocked around by the creature, Superman of course figures out a way to deal with this threat, in a fight that rages across 11 of the issue’s 20 pages. Finally, we cut to Superman recording an audio journal or log–his narration has not actually been internal this issue, as it originally appeared to be. This also allows for some more defining of the current relationship Clark has with Lois, and then we’re set up with a mild cliffhanger to lead into the next issue. All in all…another great issue, which is quickly cementing this as a version of Superman I’d love to read long-term…and somehow, I’m even ok with Superman and Lois not (yet) being romantically involved here. It’s also great that rather than load the back of the issue with a preview I’m not even going to read (yet tend to be annoyed at having to page through to make sure there’s no other RELEVANT content to the issue in-hand), this issue has only a single page advertising Batman: Noel. 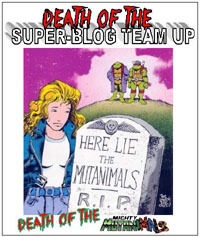 Though there’s obviously an over-arcing story building…this is the second issue, and we’ve already had two stories where amidst the other character interactions and details, we’ve had the beginning, middle, and end of a creature’s introduction and battle with Superman, rather than stretch either of these into 4+ issue arcs apiece. Of the two main Superman books, this is by far my favorite for the story, art, and the feeling of actually getting my money’s worth in content. I expect Action Comics will read as a fast but engaging graphic novel, if you want an actual comic with serialized adventures of Superman, this is certainly the title to get. As an “old fan” I’m greatly enjoying this…but it seems there’s enough here that a new or lapsed reader would be able to figure stuff out fairly easily as well without missing out on anything. I remember when I figured a summary of Smallville could be spoken in three words: Clark Kent’s Creek. Another high school drama but instead of new characters, it would plug in names from familiar Superman characters. Add to that assumption the fact that I was in college, with no TV in my room and having largely gotten away FROM watching TV in general…and despite having been a Superman fan for over a decade, it didn’t bother me one bit that I didn’t see the pilot. Or the first season. I’m pretty sure it was during the show’s second season that Christopher Reeve showed up in the role of a scientist who revealed to Clark his alien origins. 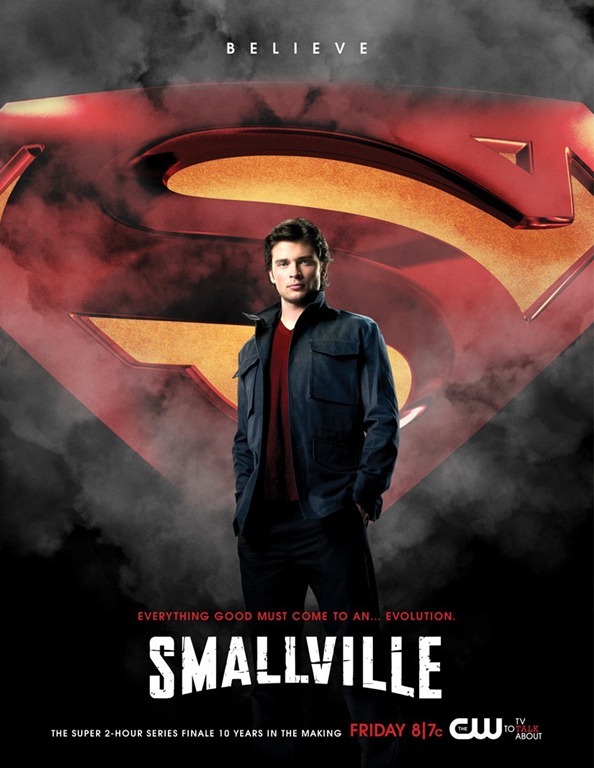 By this time, I did actually have a tv in my room, and though I used it mostly for watching stuff on VHS, or cartoons, or CMT…a good friend told me about Reeve being on Smallville, so I watched it. Cuz hey…one Superman to another, and all that. I never kept up with the show. A few years later when I was in grad school, I found myself intrigued by a commercial for a specific episode, and wound up watching it. That a friend from class was a fan and we chatted via IMs about the show helped–I think I MIGHT have seen as many as 3 episodes around then, as I had someone to talk about ’em with. (And it’s always cool to find another Superman fan in-person). Another several years later, my roommate had Smallville on, and I recall there being mention of some Doomsday weapon. Come to find it was reference to THAT Doomsday. But altered for the show. Also some supposedly fan-favorite actor playing Brainiac (I realized earlier this year that it was the actor who played Spike on Buffy the Vampire Slayer…so I may go back and watch these episodes on DVD just to see the actor in another role). And of course there was that Legion episode written by Geoff Johns. I don’t recall knowing about it ahead of time, but I do recall seeing Johns’ name in the credits while my roommate had it on, so I made a point of watching the episode, too. But again never really kept up with the show; missed the big finale with Doomsday and “Jimmy” and all that. But when Season 9 came around, I decided to jump aboard, see what it was all about at this point. Seemed the show had actually gotten kinda good, in my estimation. 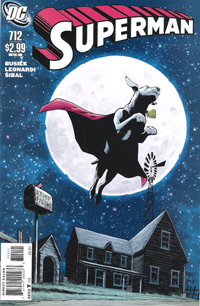 Plus I was frustrated with the comics, and finally decided Smallville was just some alternate reality and rather than seeing it as some definitive re-imagining of Superman’s past, just settled in to enjoy this alternate history for a character.